Unique and particularly innovative polycarbonate moulds. 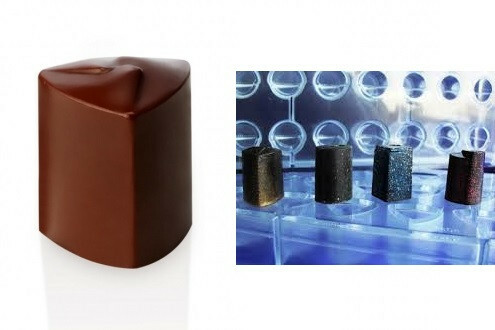 Born from the idea of conjugating design and art in real shapes, Innovation is characterized by the peculiarity of its moulds that allow to prepare perfect pralines on the perimeter lines. Praline Dimensions 22x21x28 h mm. 24 pralines 10 g. Mould Dimensions 275x135 mm.